Celebrate the CarMax Free Fourth of July by enjoying the gardens and Butterflies LIVE! Wear red, white and blue & bring your wagons and strollers to decorate for a parade in the Children’s Garden. Children can also cool off in WaterPlay. Capture your memory of the day at the CarMax photo opportunity near the Bicycle Sculpture in the Anderson Wildflower Meadow. The Garden will have water stations at key locations and the Library will be open 10 a.m. – 4 p.m. — a great place to rest and cool off! Food is available for purchase in the Garden Cafe and in the Tea House. Posting weekend events a day early because the weekend starts a day early! FIREWORKS y’all! FREE(dom) events! – The holiday weekend is relatively quiet, but has 195th Army Band concert at Mid-lothian Mines, Plunky and Oneness concert at Dogwood Dell, and Stony Point Fashion Park concerts. Lewis Ginter Botanical Garden and CarMax are pleased to announce the CarMax Free Fourth of July at Lewis Ginter Botanical Garden. On Friday, July 4, 2014, all visitors to the Garden will receive free admission throughout the day (9 a.m. – 5 p.m.) The free admission includes entrance to the popular Butterflies LIVE! exhibit. The Garden is open 9 a.m. – 5 p.m. with scheduled activities in the Children’s Garden from 1 – 4 p.m. Guests are invited to wear red, white and blue and bring wagons and strollers to decorate for a “parade” in the Children’s Garden at 2 p.m. Enjoy music by the Happy Lucky Combo, WaterPlay and fun activities. The Butterflies LIVE! 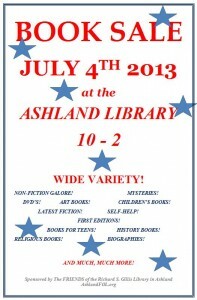 exhibit is also open this day from 9 a.m. – 5 p.m.
Ashland Library Book Sale – The Book Sale will be held on Thursday, July 4, 10 am to 2 pm at the Ashland Library (201 S. Railroad Ave., Ashland, VA 23005). You will find hundreds of pre-owned hardcovers, paperbacks, audio books, movies, and CDs to choose from. Some wonderful bargains are “nearly-new”, some items are antiques looking for new homes. There will be a wide variety of treasures to be found for children, teens and adults. The sale proceeds will fund programs, equipment, and materials for the Ashland Branch of the Pamunkey Regional Library. Richmond SPCA – The Richmond SPCA and the City of Richmond Animal Care & Control (RAC&C) have joined forces to celebrate America’s birthday by holding $4 pet adoptions the first week of July! All pets ages 6 months and older may be adopted for $4 each. Potential adopters must meet each agency’s adoption criteria to ensure that each pet is placed into a loving, permanent home. Pets are spayed/neutered, vaccinated, heartworm tested (dogs), FIV/FELV tested (cats) and microchipped prior to adoption. The $4 Richmond SPCA adoption event is sponsored by The HelpDesk Company and will be held July 1 from 11 a.m.-4 p.m., July 2, 3 and 5 from 11 a.m.-7p.m., and July 6 from 11 a.m.-6 p.m. Pets available for adoption may be seen online by visiting www.richmondspca.org/cats or www.richmondspca.org/dogs. The $4 RAC&C adoption event will be held July 3 and 5 from 1-7 p.m., July 6 from noon-5 p.m. and July 7 from noon-4 p.m. Pets available for adoption may be seen online by visiting www.richmondgov.com/animals. Both facilities will be closed July 4th. Outback Steakhouse – Free Bloomin’ Onion with any purchase on July 4th. No coupon necessary, say “Let Freedom Bloom” to your server to receive the offer. One per table, per visit. Offer valid for lunch or dinner, dine-in or Curbside Take-Away® (not valid for online ordering). Offer is not valid in conjunction with any other discounts, coupons or offers and has no cash value. Offer valid while supplies last. Valid only at participating locations. Guests are invited to wear red, white and blue and bring wagons and strollers to decorate for a “parade” in the Children’s Garden. Enjoy music by the Happy Lucky Combo, WaterPlay and fun activities. 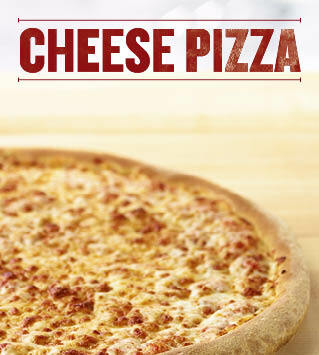 On Wednesday, July 4, you can get a medium cheese pizza for $4 from Papa John’s with promo code PAPA4. Flagstop Car Wash & Quick Lube will be offering a FREE exterior car wash all day on Wednesday, July 4. To spark the conversation in our stores, your local Starbucks will proudly serve everyone a free tall hot brewed coffee on the Fourth of July. Together, we can set a new tone in America. We hope you agree that doing so is a powerful way to celebrate our nation’s birthday. Plenty of patriotic fun to be had this week around Richmond, free of charge! The parade begins at 10:00 at Trinity Lutheran Church on Lansdowne Road. It winds through our community and ends at Parham Road Baptist Church. This year’s parade includes the 392nd Army Band, The Wounded Warriors of VA with their sponsored dragster, the RIR pace car who will be giving away 2 tickets to the Fall Sprint Cup Race, the VCU Men’s Soccer Team, The Richmond Kickers Soccer team, Arena Racing USA race cars, the Peanut Characters from Kings Dominion and much more. After our parade we invite you to bring a picnic lunch or enjoy food from local vendors including Chick-fil-a, Little Caesers, Kona Ice and more. After lunch we will have a ceremony honoring our military and veterans. At 3:00 we will close our festival and silent auction to enjoy a patriotic concert by the Henrico County Concert Band. Join Genworth on Tuesday, July 3, 2012 to celebrate freedom with the Air Force Heritage of America Band. The concert will begin at 6:30pm at Genworth Financial’s World Headquarters located at 6620 West Broad Street. The concert will be immediately followed by our 7th annual fireworks display. Children and adults of all ages are welcome, but please, leave your pets at home. We will have face painting, balloons, giveaways, food vendors and much more. We have plenty of free parking and will be offering transportation between the parking lot and the event site for those who need assistance. This event is free and open to the public. RVA Fireworks on the James is a FREE “Patriotic Family Fun” event that will feature performances by SPARC (School of Performing Arts in the Richmond Community), the Richmond Symphony Youth Orchestra and the Richmond Ballet’s “Minds in Motion.” Food Vendors will be on Brown’s Island and the public is invited to bring a picnic (alcohol and pets not permitted) and a blanket or lawn chair to enjoy music simulcast on WRIR-FM, 97.3 during the evening and see the state’s largest fireworks show, a World Class program designed and fired by the Gruccis of New York… The Grucci show will be designed for 360-degree views. In addition to Brown’s Island, excellent viewing sites will be available in surrounding areas such as Oregon Hill, Manchester, and Chimborazo Park. The Ashland 4th of July Celebration, sponsored by the Hanover Arts & Activities Center (the Center), will include a walking parade, patriotic concert, lawn games, an apple pie contest and the ever-popular patriotic pet contest. Ashland’s quirky, nonmotorized walking parade is a small-town favorite. The parade begins at 11 a.m. and will feature bicycles, basset hounds, a lawn chair brigade, and a few new surprises. The parade follows Hanover Avenue and winds through shady, tree-lined streets toward the Center, 500 S. Center Street. Participants in the walking parade will line up at the Henry Clay-War Memorial Parking lot at 10:15 a.m.
For all ages. Free fun for the whole family! Join us for our spectacular event in celebration of America’s Independence! Enjoy a multi-faceted array of festive entertainment and activities for the entire family. Activities will include musical entertainment, tethered hot-air balloon rides, arts and crafts, face painting, a petting zoo for children, contests and games, and pony rides! Other highlights include a watermelon feast, Uncle Sam on stilts, Jonathan Austin the juggler, a patriotic performance featuring a historic color guard, drum and fife music, and a period musket salute by Living History Associates, Ltd. Tours of Meadow Farm Museum and the Orientation Center exhibits will be available free of charge. Concessions will be available for purchase. Information: Rachel Moore, 501-5134. Event begins at 2pm with music, food and Family and MWR’s KidZone (inflatables and) KidZone tickets are available for $1 each. At 7pm the main stage will feature entertainment from national country music artist Justin Moore. A spectacular fireworks show will begin at 9:35pm. General admission is free and open to the public. Those without DoD vehicle decals will need to show their driver’s license, current vehicle registration, and proof of insurance. Pack a picnic, grab a blanket and bring the entire family to the City’s annual free Fourth of July celebration and fireworks extravaganza presented by the Department of Parks, Recreation and Community Facilities on July 4 at Dogwood Dell in Byrd Park. The program will begin at 5 p.m. with Susan Greenbaum performing on the Dell stage. Her set of pop/rock selections will be followed at 7 p.m. by a selection of musical pieces on the Carillon bells performed by Larry Robinson, who has been the City’s carilloneur for more than 50 years. At 7:30 p.m., the Richmond Concert Band will take the stage to perform a program of rousing patriotic music, including many traditional numbers the audience will recognize and want to sing along with. The highlight of the evening is the annual finale, the “1812 Overture,” played with a live orchestra, cannons, carillon bells and fireworks as it was originally composed. This finale usually takes place around 9:30 p.m. and continues once the “Overture” is complete. For more information or last minute updates, call the Dogwood Dell Hotline at 646-1031. The City of Colonial Heights will sponsor a fireworks display on Wednesday, July 4, 2012 in the vicinity of Charles Dimmock Parkway in Colonial Heights. Fireworks will start at approximately 9:15 pm. Viewing for the fireworks will be off Interstate 95, Exit 53 or 54 in the Southgate Square/Wal-Mart Area. Bring blankets and/or lawn chairs. For more information, please contact the Colonial Heights Recreation & Parks Department at (804) 520-9390.